Search engine optimization, if done right, can help you grow organic traffic and obtain sustainable and favorable natural search results. About 40% of Hong Kong's businesses are involved in manufacturing and import & export. These businesses must be able to communicate effectively in English with overseas customers via both traditional platforms and online presense. Having a website that is not only grammatically accurate in English but also search engine optimized for leading English search engines is therefore critical. The need for English SEO - English search engine optimization has then emerged and Yo-So has become the leader in the market for providing such English SEO services. Almost all of our key English SEO team members have studied, worked and lived abroad. We are familiar with English search engines and user search behavior. We have helped many clients build English sites or optimize existing English page content for better English search engine inclusion and indexing. 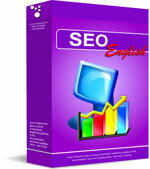 The Yo-So English SEO consulting team has extensive expertise in building search engine optimized websites in English. Our English search engine optimization solution is designed to educate our customers on the comprehensive algorithms of English search engines. Our English SEO service reports update you with constantly changing search engine mechanism information so that you can adopt SEO practices to continue to succeed online. Yo-So helps you understand how English search engines index websites and rank results, how to identify effective keywords and optimize page content and site navigation, and how to improve search ratings. We report on your rankings of selected English keywords on various English search engines and how your competitors rank. We share with you the strength and weakness of your existing English SEO status, and we deliver a complete list of approaches and easy to follow steps for you to consider. We adopt only ethical seo techniques and we share with you English SEO best practices so that your website can achieve long term better rankings. We enpower you with seo analytical reports, ranking status updates and web traffic analyzer solution to monitor search engine optimization effectiveness. Our total English SEO solution include consulting, training, reporting, hosted web traffic analyzer solution and SEO execution (such as code optimization, copywriting optimization, English SEO localization, and other external optimization activities). If you are interested in our English SEO services and would like to see a few successful case studies, please contact us for more details or fill out the online inquiry form below. We will get back to you within one business day.